To describe Leeds United as a side in a rut might appear a touch unfair on the surface, but in the context of their excellent season so far they are certainly struggling for form. When Leeds walked away from Elland Road on Boxing Day in a state of euphoria after scoring another incredible late winner against Blackburn Rovers – their second in the space of just three days – promotion appeared inevitable. But that win was to be the last of their seven-match winning streak and results have been far from favourable ever since. Four defeats from seven fixtures – Leeds’ worst run of the season by some distance – have allowed Norwich City to go above them on goal difference. An incredibly tricky looking trip to the Riverside Stadium to face Middlesbrough on Saturday lunchtime beckons for the Whites, and another defeat in that fixture will certainly trigger a few panic buttons amongst the supporters. Bielsa has once again confirmed his starting XI for Saturday’s game but revealed he still has a choice to make between Kalvin Phillips and Adam Forshaw due to fitness concerns. But really, this one should be a no-brainer. The midfield pairing of Forshaw and Mateusz Kilch was exposed by Norwich last weekend more times than Bielsa would care to remember. Every time Leeds surrendered possession it looked like the midfield would be bypassed with ease, such was the extent of the glaring lack of protection in front of the back four. Phillips was a revelation in the anchor role during the early stages of the season, but injuries to a handful of central defenders have forced him to play a prominent role in the back four of late. That trend simply has to end against Boro if Leeds want to keep things tight and give themselves the best possible chance of returning to winning ways. When a side has positive momentum and results are coming naturally it is much easier for inexperienced players to look the part. 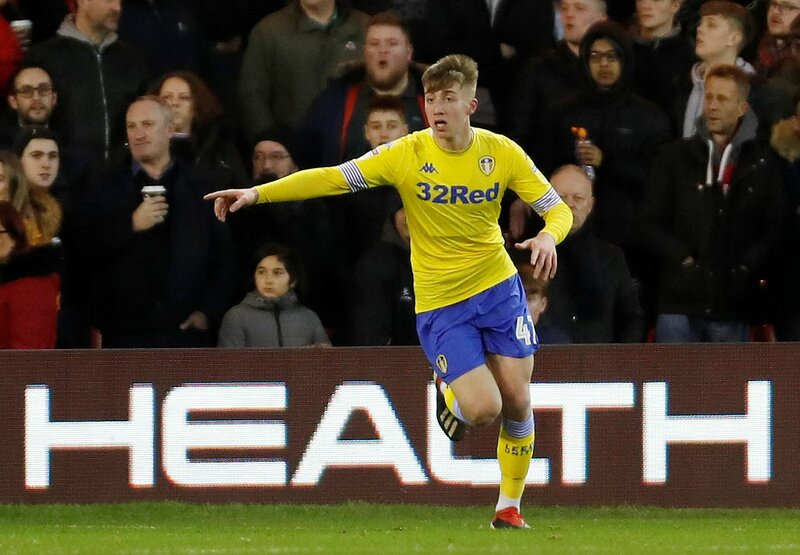 Jack Clarke has been the best of the youthful bunch this season but, barring a scintillating showing against Derby County in January, his best performances have come from the bench. Tyler Roberts had a decent game against Norwich last time out and showed some nice touches, but a player of his limited experience might be more valuable from the substitutes bench when legs are tired and Leeds are in need of some fresh impetus. This is not to suggest that Bielsa should no longer start youth players. It does suggest, however, that Leeds need experience and solidity against a well-organised Boro side this weekend, so urging on the side of caution with a more proven line-up should be Bielsa’s strategy. Pontus Jansson gave the ball away prior to Norwich’s opener last weekend and, in a desperate dash to rectify his mistake, needlessly gave away the free-kick which Mario Vranic dispatched. Moments later Jansson could be seen showing ice-cool composure, continuing to play out from the back and stepping forward with the ball at his feet at every available opportunity, leaving hearts in mouths with every sure-footed step. There is an element of risk to Jansson’s style but it’s direct correlation with Bielsa’s philosophy cannot be separated. Now the going is getting tough it’s vital that Leeds players remember why they are in the promising situation they find themselves and continue, like Jansson did against Norwich, to champion the style of football which has worked for so much of the season. It’s never been more important for the players to embrace the philosophy Bielsa has installed at the club and the extent of their willingness to trust in his methods will ultimately shape the final months of the season.